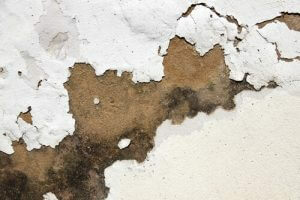 Damp and mould are prominent problems found throughout many holes within the UK. Leaving mould and rising damp untreated can cause serious damage to your home, and can also compromise structural foundations of the property. Catching mould and damp walls early on is imperative. Whilst not all damp marks are cause for serious concern, unsuitable damp proofing treatment in the future could create a bigger problem. Our experienced team of damp proofing specialists are versed in identifying sources of damp and applying the most effective rising damp treatment. Call us today on 01793 272085 to book a damp survey today. The first step in damp proofing treatment is identifying any and all sources of water ingress. This allows us to determine the severity of your damp walls (including rising damp and penetrating damp) and the best course of action to take. Below, we take a look at some of the key sources of damp as well as some key damp proofing treatments. As leading damp proofing specialists, we provide extensive damp surveys and treatments for all domestic and commercial properties. If you’re worried about the damp proofing cost, our industry leading services are competitively priced and affordable. As one of the less common forms of damp, rising damp can often be found within older buildings and structures that have little or no damp proofing. Defined as the “upward flow of moisture through a permeable wall structure”, the water moisture from the ground water rises up through the pores of the masonry. The damage caused by rising damp depends on multiple factors that revolve around ground water levels and type of masonry within the property. Masonry refers to the type of materials used in the building such as brick, stone, and timber; with the rate of rising damp evaporation being heavily influenced by the different types of mortar in the property. If left untreated, rising damp will generally require specialist damp proofing treatment to reverse and repair its impact. The effects of rising damp start with visible patches of damp moisture on walls and fixtures within your home. This is where ground salts have been pulled up into the masonry with the ground water, and can cause wallpaper to peel away and plaster to soften and crumble. Further, more serious problems can also come from the ground salts found in rising damp. The ground salts can damage and dissolve certain binding materials found in brick and stone buildings, which can cause them to weaken; affecting the overall structural integrity of the property. The first step in completely removing rising damp from a property is to prevent the source of moisture from entering any part of the property. The most common method of damp proofing treatment for rising damp is through the installation of a chemical damp proof course into the base of the affected walls. As a leading damp proofing company, our preservation specialists can treat and repair rising damp in both residential and commercial properties. Once the initial damp proof course has been implemented, our specialists will replace all areas affected by the rising damp. A new, specialist cement-based render will be used for the reconstruction of the damaged walls, and can prevent moisture and salts from passing through the structure. Installing a new damp proof course into existing properties is often hazardous and impractical, and is likely to incur a higher damp proofing cost. At Biocraft South West, our experts can install a chemical damp proof course directly into the wall structure using a thixotropic cream. This will create a waterproof barrier between the rising damp and the structure, and prevent and moisture from entering in the treated areas. At Biocraft South West we go above and beyond the industry standards to ensure your property is completely damp proof and moisture free. As an established damp proofing company, our installation of the chemical damp proof course strictly adheres to the BS 8215 1991 Code of Practice for design and installation of damp-proof course in masonry construction. We’re a leading damp proofing company based in Swindon and have served the South West with distinction for all damp surveys and treatments. As an industry leading damp proofing company, all of our damp proofing surveyors are extensively trained and qualified as CSRT & CSSW to carry out damp surveys and provide extensive damp proofing treatments. Call one of our surveyors on 01793 272085. We provide extensive support and advice on rising damp treatments and the best course of action to take for damp proofing.